Claudia Vidal knew she had a greater purpose, but fear was holding her back. After finding inspiration and support from friends and loved ones she decided to share her message with the world. 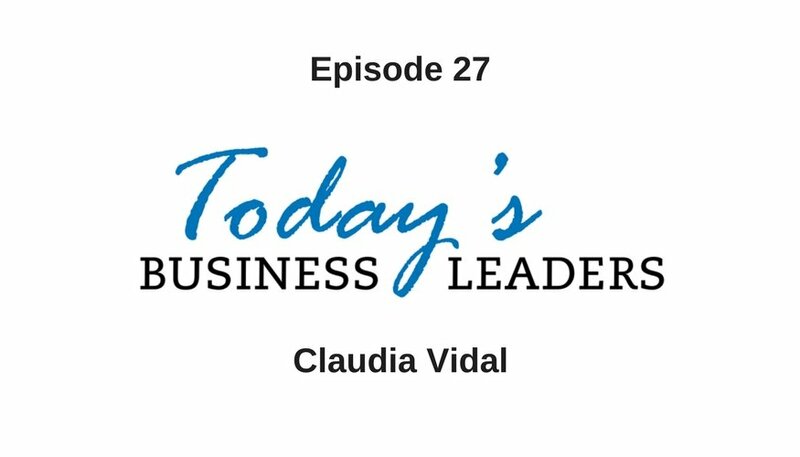 In today’s installment of Today’s Business Leaders, Claudia shares her insightful wisdom on finding balance and happiness in life. For nine years Claudia worked in the nonprofit field. The work was challenging and she liked helping people, but felt she was unable to do enough in the capacity of her job. At the same time she found her coworkers would seek her out for advice, and her loved ones realized she had a knack for resolving issues and inspiring others. Eventually, Claudia decided it was time to follow her dream and go about assisting people in a new way that would fulfill her sense of wanting to help. In the span of one month Claudia wrote and self published her now best-selling book, Start Sooner. Her book is about consciousness and how to become the best version of yourself against the odds. The book is inspired by Claudia’s own life. She explains how after being raised in poverty she decided to recreate herself. Claudia strove to be extraordinary and not ordinary. The feedback to her book has been overwhelmingly positive, and Claudia followed up the book with an online course that delves deeper into the strategy of developing a framework to help people. To truly find happiness in life you must have complete balance between your mind, body and soul. All three areas are equally important, but more often than not people focus in one area more than the others, and this upsets the balance. When the balance is off this can lead to feelings of resentment and lead to difficulties in life and relationships both personal and professional. Claudia shared tips for achieving balance and reaching what she describes as a perfect triangle. – Notice actions and thoughts. – Focus on the opposite of what you want. Listen to the episode to learn more about Claudia and her journey. Visit Claudia’s website or get in touch via email or Facebook. Purchase her inspirational book, Start Sooner to learn actionable advice to find balance and happiness in your life both personally and professionally. Learn more about Business Marketing Engine, Gabe’s company, as well as the solutions available, and catch up on episodes of Today’s Business Leaders.